Known as a “duty of candour”, the guidelines make clear that patients should expect a face-to-face apology. In April, the NHS introduced a rule that told NHS and private healthcare organisations to admit their mistakes candidly, and as soon as possible. Now the same rule is to be applied to individual medics. Detailed guidance makes clear staff should tell the patient as soon as possible when something has gone wrong, and what it might mean for their health. The guidance also makes clear that patients or their families should receive a face-to-face apology. For the avoidance of doubt, it even spells out words that such an apology might include, such as “I am sorry”. 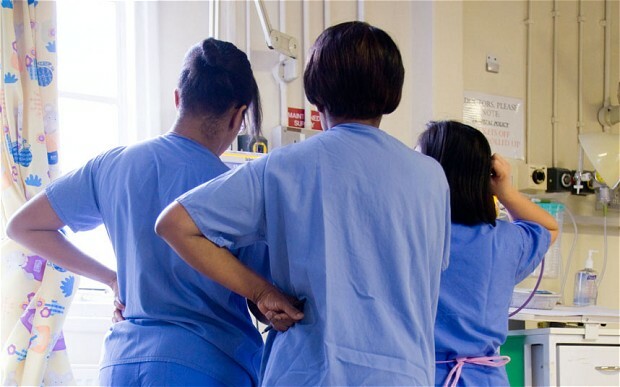 The guidance was drawn up by the General Medical Council and the Nursing and Midwifery Council and applies to more than 950,000 doctors, nurses and midwives working in the UK. The Health Secretary has been warned that he faces legal action unless he revises the new regulations requiring NHS and social care institutions to hold their hands up and admit when something has gone wrong in a patient’s treatment. The new regulations, called duty of candour, were widely welcomed when they were brought in following the scandal at Mid-Staffordshire trust. They require patients or their relatives to be told when an incident during treatment has caused significant harm. The rules apply to NHS and private health care and social care providers. But now leading patient charity, Action Against Medical Accidents (AvMA) has said the way the regulations have been drafted means that private clinics and hospitals and GP surgeries could avoid admitting harm in cases where cause and effect are less obvious. AvMA has now given the Department of Health until Friday 19th June to respond or it will seek a judicial review. Their argument hinges on the words “could lead to”. I was very interested to read an article recently published by the British Medical Association [“BMA”] with the heading: “Statutory duty of candour could backfire”. It never ceases to amaze me that any individual doctor let alone an organisation associated with the medical profession could claim publicly that being open and honest about medical mistakes could in any way be detrimental to patient safety. This is the very culture, in my view, that made the need for the introduction of a ‘legal’ duty of candour absolutely necessary – honesty should be the foundation for all doctor patient relationships! Although rarely accepted and denied by the government the absence of a duty of candour was first exposed in the High Court in Cardiff in 1996. It was highlighted by the case of our son Robbie Powell who died in April 1990. Doctors responsible for Robbie’s death had been untruthful about the circumstances of Robbie’s negligent death, falsified the child’s medical records and post death caused psychological damage to my wife and me by exacerbating our grief as a consequence of their dishonesty. The UK Courts ruled that because doctors had no post death ‘legal’ duty to be honest to parents, in such circumstances, the case was struck-out. Patients to get ‘duty of candour’, says Jeremy Hunt – Telegraph. All hospital directors will have to pass a “fit and proper” person test, under new rules introduced by the Health Secretary Jeremy Hunt, that come into force on Thursday. Care home directors will also have to pass the test from April 2015, as part of a package of measures to increase accountability in the NHS. The new test means that anyone who has been responsible for serious misconduct or mismanagement will not be able to run hospitals and homes. People who have been declared bankrupt will also be excluded. Under a new “Duty of Candour” scheme, hospitals will also be required to disclose information about incidents which caused patients harm and provide an apology. Mr Hunt said that new systems were necessary in the wake of the tragic events in Mid Staffordshire, saying they would bring in a “new era of openness”. 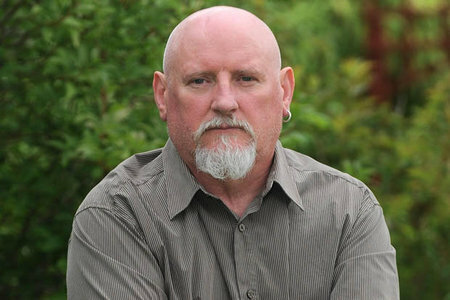 Mistreatment.com are delighted to announce Will Powell as a new addition to its advisory team in a renewed move to implement further awareness about the legal duty of candour and to raise patient rights awareness in England & Wales. Will, who was recently given a national campaign award for patient safety by the charity Action against Medical Accidents (AvMA) and a Freedom of Information award in 1999, presented by the then Home Secretary, Jack Straw, has continually demonstrated a tireless dedication to change the stance of the law regarding medical transparency. His campaigns to introduce a legal duty of candour-‘Robbie’s Law’- have been a hallmark of patient care and access to justice and an inspiration behind the creation of Mistreatment.com. NHS trusts have until next Friday (5 September) to have their say on how they could show they are meeting the government’s new regulations on being open and honest to patients when things go wrong and on making sure they employ directors who are suitable for the roles. 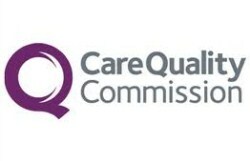 The Care Quality Commission (CQC) has drafted guidance on how the 162 NHS trusts across England can meet the government’s new ‘duty of candour’ and the ‘fit and proper persons’ regulations. These will oblige providers to be open and honest when things go wrong and to hold directors to account when care fails people. NHS trusts will have to make sure they are meeting these two regulations from November, with other providers of health and adult social care following next spring, subject to Parliamentary approval. Also, NHS trusts have the chance to comment on the CQC’s proposals about how it will use its enforcement powers when the regulator believes that a regulation has been breached and on its wider guidance on how they can meet the new ‘fundamental standards’ of care. CQC’s guidance will help both NHS trusts to determine whether they are meeting the regulations and, CQC to decide what action to take when they do not. More than 30 families have taken legal action against a hospital in Cumbria blaming poor care and medical negligence for a catalogue of baby and maternal deaths and injuries. Furness General Hospital at Morecambe Bay is now the subject of a number of investigations including a police inquiry. The trust said there was “no denying” families were let down in the past, but said it was “determined that we can learn from it and we will ensure we continue to do so”. James Titcombe’s baby son died at the hospital in 2008. 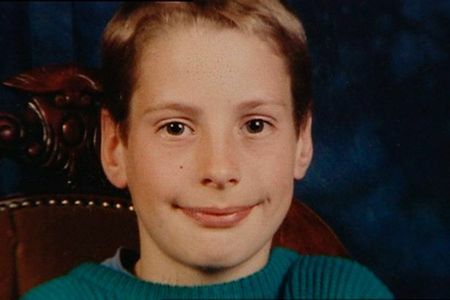 An inquest found that Joshua died of natural causes but could have been saved if staff had acted faster. 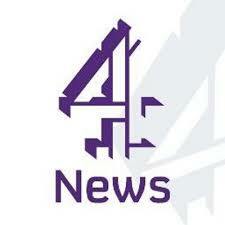 Mr Titcombe, who now campaigns for patient safety, spoke to BBC Breakfast presenters Charlie Stayt and Louise Minchin. He was joined by Peter Walsh, Chief Executive of the charity Action Against Medical Accidents. Value your life and your families? THINK…and do something about it. We need everyone to group together, Strength in numbers…. Deaths were covered up in the tens of thousands by Sir David Nicholson and other civil servants who are now seeking to abuse their position by protect him through the various acts of Misconduct in Public Office. NHSComplaint has sufficient evidence to bring a Private Criminal Prosecution against Sir David Nicholson on behalf of victims and their families deaths of MidStaffs and other parts of the NHS that were entirely preventable had information been acted on instead of being suppressed. NHSComplaint and it’s supporters are setting up a campaign group specifically to organise and facilitate the private criminal prosecution of Sir David Nicholson. Please support this initiative in anyway you can. 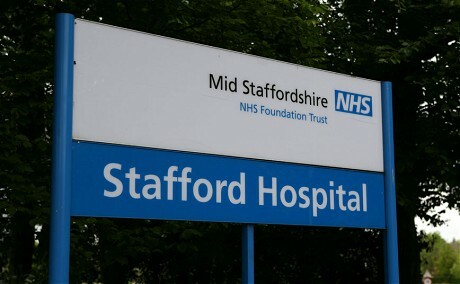 NHS staff should be put under a legal “duty of candour” to own up when mistakes affect patients, a public inquiry into the Mid Staffordshire hospital care scandal will recommend. The move will form part of a series of measures designed to make hospitals safer which Robert Francis QC will outline in his report of the 31-month public inquiry into what is widely considered to be the worst care scandal in many years. Parts of an independent report into the death of a child, which were withheld by First Minister Carwyn Jones, have been uncovered by a Wales This Week investigation. Mr Jones made 18 redactions to the report, which was meant to expose the truth about the death of ten-year-old Robbie Powell, from Ystradgynlais. A leading QC and medical negligence expert has branded some of the redactions ‘absolutely astonishing’, but Carwyn Jones said today that the report does give a ‘full picture’ of what happened. Robbie died in April 1990 from Addison’s Disease, a rare but treatable condition. In July last year, the First Minister (Wales) made a belated apology to the family of Robbie Powell, a ten year old boy from Ystradgynlais who died in 1990 as a result of Addison’s disease – a treatable condition that should have been contained. Investigations into Robbie’s death have identified no fewer than nine occasions where health professionals could, and should, have saved Robbie’s life. But sadly these failings do not amount to the entirety of the inadequacies evident in Robbie’s case. Currently, any Healthcare Professional causing the negligent death of a patient is not legally obliged to be Open, Honest & Transparent with bereaved relatives or to refrain falsifying the deceased patient’s medical records. “As the law stands now, however, doctors have no duty to give parents of a child who died as a result of their negligence a truthful account of the circumstances of the death, nor even to refrain from deliberately falsifying records.” ECHR May 2000. We want the Government to create a law to make it a legal requirement to inform patients or next of kin of errors or incidents which may cause serious harm or death. Robbie’s family continue to campaign 22 years on, not only for justice for Robbie, but to ensure other families don’t have their grief exacerbated by the dishonesty of the medical profession. Please sign the petition & encourage ALL family & friends to do the same. Breaking News – Statement on Robert Powell – Apology by First Minister.